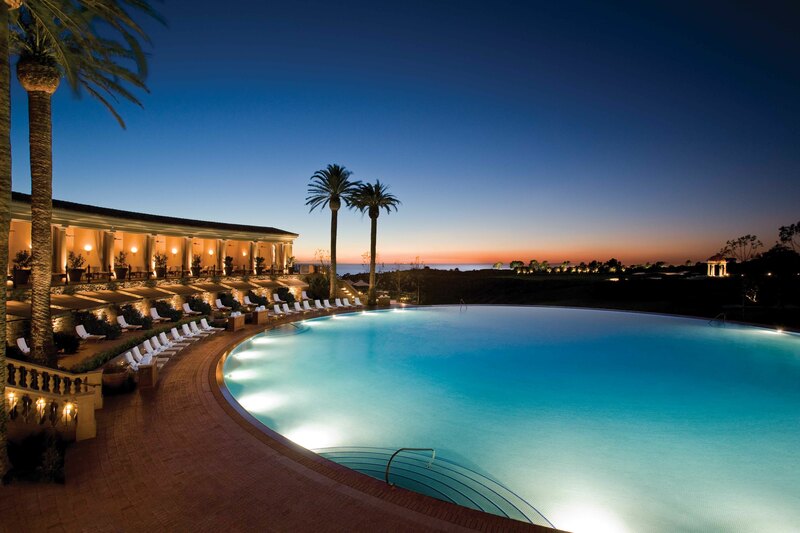 Experience a taste of Italy on the Southern California coast at The Resort at Pelican Hill, rated the number one Resort in the U.S. and the number one California Golf Resort by Conde Nast Traveler readers! The Spa at Pelican Hill is rated Five-Star by Forbes and Andrea, one of four dining venues, is among the “Top 50 U.S. Italian Restaurants”. 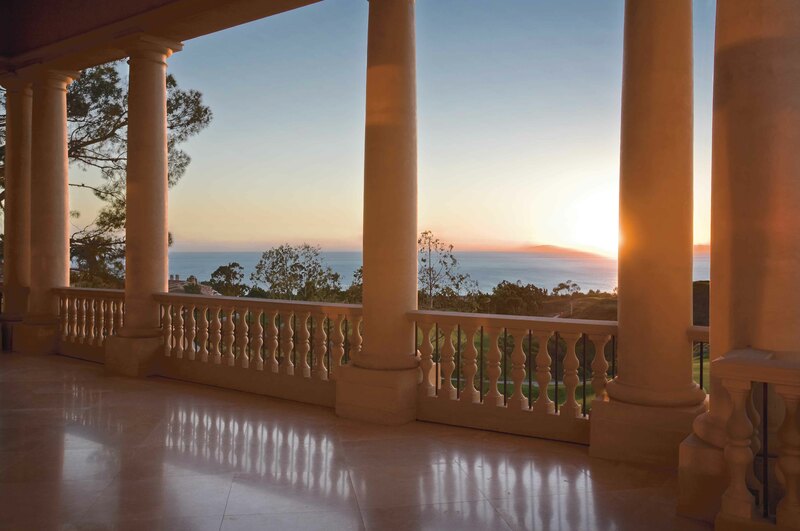 The Resort at Pelican Hill is perched on the coastline between Newport Beach and Laguna Beach with expansive views of the Pacific Ocean from almost anywhere on this Mediterranean-like resort. The architecture was inspired by the 16th century Italian, Andrea Palladio, best known for his grand villas across the Venitian countryside. The accommodations consist of Bungalows with large private ocean-view terraces, hand-hewn vaulted wood-beamed ceilings, Italian limestone gas fireplaces, granite wet bars, generous sitting area, very large bathrooms with walk-in marble showers and oversized soaking tubs, and state of the art technology. The Bungalows begin at 850 sq ft, not including the well furnished terraces, which become an extension of the living area. The Villas range from two, three, and four bedrooms, each with gourmet kitchens with all of the necessities, from dishes, to cookware and top notch appliances. Fully furnished terraces, private garage, and washer/dryer make for a perfect family or friend get-away. Though Pelican Hill Resort is only a few years old, the landscaping is fully mature and abundant. Century-old olive trees throughout are harvested in the autumn and the resort celebrates with a weekend festival complete with wine and oil tastings, Italian delicacies, music and entertainment….you feel as though you are in the piazza of an Italian hill village. Other themed events happen throughout the year that would make for a great excuse to plan a visit for a weekend or more. The main resort swimming pool is a perfect circle, 136 feet in diameter, aptly named ‘The Coliseum’. Luxurious cabanas and lounging areas line two levels of comfortable space around the pool….all enjoying a fabulous ocean-view. A great place to be at sunset for an incredible visual treat. The same view can also be enjoyed al fresco at most of the Resort’s restaurants and lounges. The Newport Coast enjoys an average of 340 days of sunshine a year. The two 18 hole championship golf courses were designed by Tom Fazio and are set among over 400 acres of deep canyons with panoramic views of the Pacific. 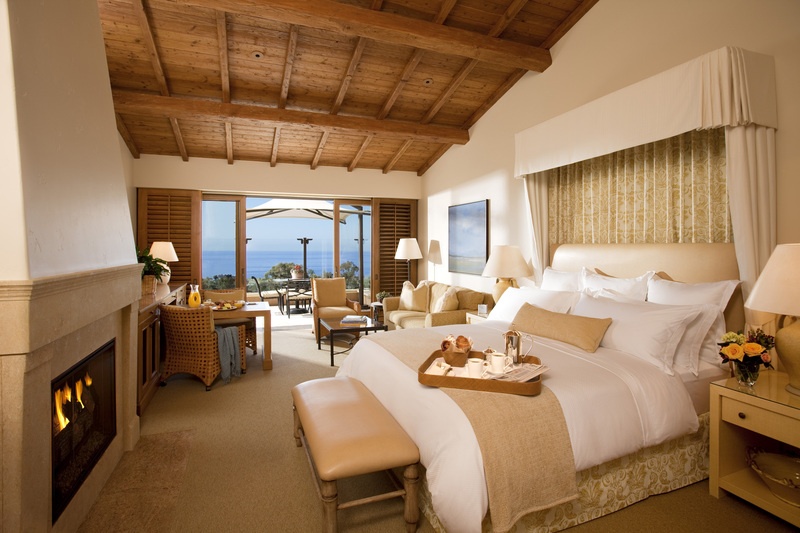 The Resort at Pelican Hill is located across from Crystal Cove State Park which has 3.5 miles of beach offering spectacular sunbathing, swimming, surfing, diving and tide pool exploration. There are also miles of trails on the bluffs above the beach for walking, jogging and biking. Balboa Island and Newport Harbor offer sailing, deep-sea fishing and dinner cruise excursions. Laguna Beach hosts several annual arts events and festivals and has abundant art galleries, shops and restaurants. And for the serious shopper, First- class shopping is close by at the renowned Fashion Island and Crystal Cove Promenade. So if you do not have the time to fly to Italy for your much needed Mediterranean break, you might consider a visit to The Resort at Pelican Hill, as I recently have!